Battery will not fit if extra menory is installed. 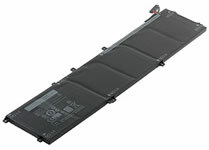 Battery will not fit Dell 9550 if orignal battery is 56wh, only fit 84wh. Not compatible with Dell 9560.